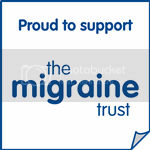 Migraine Monologues: It's all in the Genes! Looks like we really can blame our parents for everything! 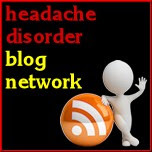 SUNDAY, June 10 (HealthDay News) -- Two more genetic links to migraines have been discovered, a finding experts acknowledge won't yet help those suffering from the throbbing headaches but may one day lead to new therapies. Comparing the DNA of more than 2,300 patients afflicted with migraines without aura -- the most common type -- with 4,580 people in the general population, German and Dutch scientists spotted two gene variants associated with that migraine form. The research, authored by Arn van den Maagdenberg of Leiden University Medical Centre in the Netherlands, builds on a U.S. study released last year identifying three genes linked to migraines that suggested those inheriting any one of those genes had a 10 percent to 15 percent greater risk for the condition. "Migraines are under-treated, under-recognized and under-diagnosed, especially with common migraines that don't have any of the dramatic symptoms," said Dr. Gayatri Devi, an attending neurologist at Lenox Hill Hospital in New York City. "A lot of times, people feel it's their fault or thatstress causes them . . . it's nice to know there are genetic basis for illnesses and it's not all in your head." The study is published online June 10 in the journal Nature Genetics. This is great news! But what really annoys me is that as a scientist (though currently out of work because of my migraines) my first thought is that I want to read the original research paper where this work is published. However, I go to find it on the Nature Genetics website and as I'm no longer affiliated with a university, I have to pay $32 to access it. Now this is a great study and I imagine it is primarily funded by public funding so should be freely accessible to the public. There are big debates in the science community at the moment about open access. Overall I think scientists are for it but the publishers are saying it won't be financially viable. But I think it is necessary otherwise how will the public ever be able to check the facts that we're given in news articles? Ok, I'm not so geeky that I do this all the time, only when I'm particularly interested! Sorry Victoria to rant on your blog (again) but I hate it when the media sensationalises science (not that they have in this article at all but they do have a tendency) and create scare stories and the general public have no way of checking the facts. I like the last paragraph. I've never doubted that. I was at a fayre recently, a self proclaimed 'faith healer' overheard me say that I suffered from chronic pain and jumped on the opportunity to give me her card, and tell me that pain was 'all in the head'. 'Yes' I said, 'it's neurological', (it's just a shame I forgot to add 'and it's also genetic'). At which point she gave me a disdainful look. Do these people realise just how much damage they do to migraineurs by spreading this nonsense and ignorance? It makes me so angry.